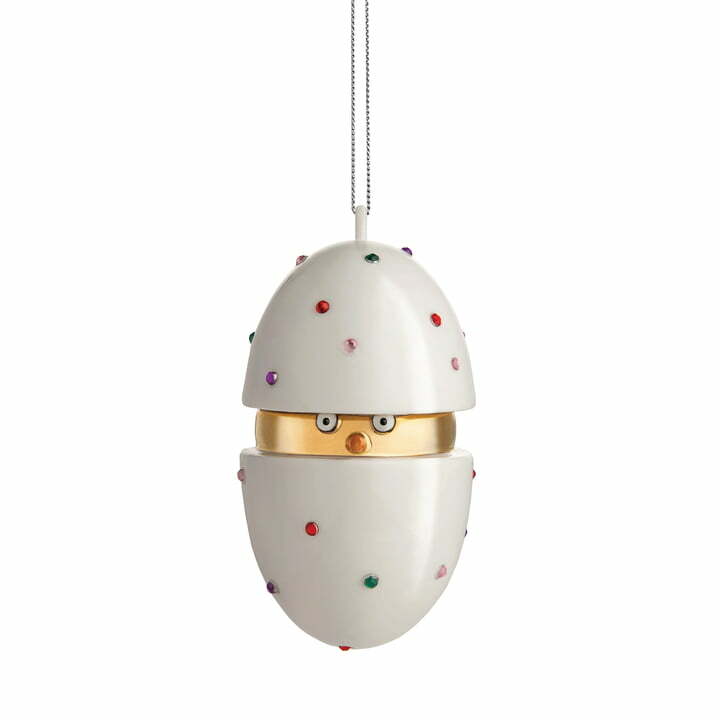 The Faberjori Christmas tree baubles are a design by Marcello Jori for Alessi, who was inspired in his work by the famous Fabergé decorative eggs of the Russian goldsmith Peter Carl Fabergé. The opulently decorated jewels were presented to the wives of the tsars at the end of the 19th century. Century as Easter gifts presented. Made of porcelain and attached to a thin string, the baubles can be arranged on a Christmas tree or a winter shrub to create a festive atmosphere. 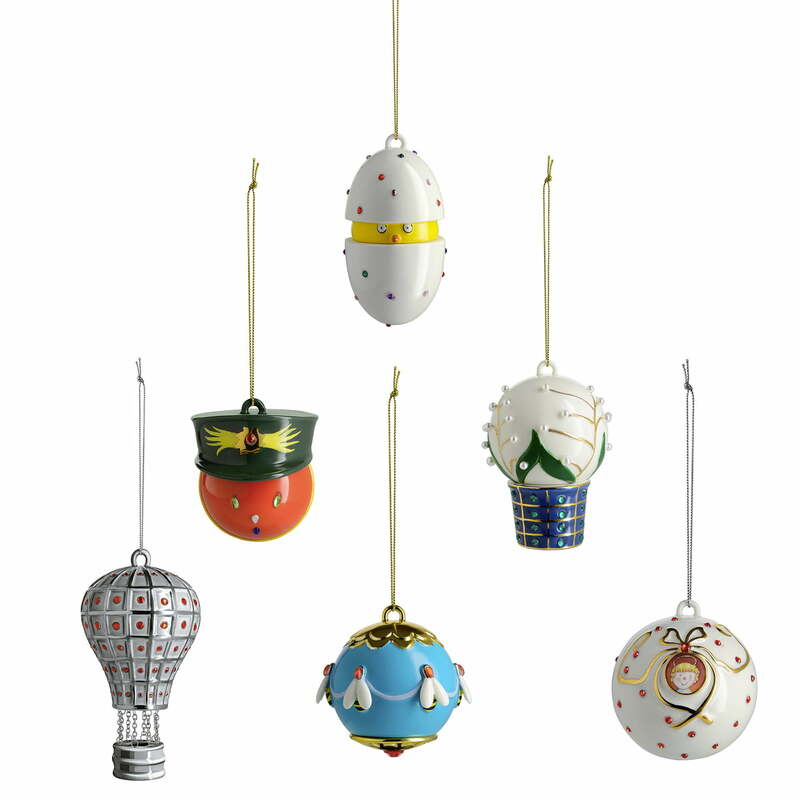 The collection includes a wide variety of designs and motifs, including a hot air balloon, a soldier and a bauble decorated with bee figures, which can also be combined with each other. The result is a colourfully decorated Christmas tree with an elegant appearance. The Faberjori Christmas tree baubles are a design by Marcello Jori for Alessi, who was inspired in his work by the famous Fabergé decorative eggs of the Russian goldsmith Peter Carl Fabergé. The collection includes a wide variety of designs and motifs, which can also be perfectly combined with one another. The result is a colourfully decorated Christmas tree with an elegant appearance.